Chakra & Aura Washing/healing. Blessings with candles to enhance the healing process. The Following Channel is from higher powers, Divine, the ancestral plane and is prophetic through Quornesha S. Lemon| Whether the Prophetic Number 32 appears in dreams, visions, waking life or synchronicities, it is a sign and message that there will always be ONE person who feels you don’t deserve your blessings. ONE person that dislikes you no matter what career you pursue. One person uncomfortable with your happiness. Yet, you are not living your life for them. The number 32 is a message to leave miserable people where they are. You are going through changes that are pertinent for your own growth and you should never make time to feel pity because others are angry due to their lack of opportunity to use you. Everyone of us, goes through trials and tribulations based on lessons, karma, or our own doing. You are not responsible for taking other people out of their circumstances. They will not learn that way. Let them be, and focus on your own mission. Don’t dim your uniqueness to conform to the dullness of another person. Heal areas that need healing and remember, we all have wounds. Numbers 3 & 2 are contrived of this mathematical/numerological connotation (3+2=5) and 5 Is a number of favor, change and altitude. It may be time to release cords, detach and heal or release stale mate based relationships/business partners, etc. Get a professional reading to find out more. The Following Channel is from higher powers, Divine, the ancestral plane and is prophetic through Quornesha S. Lemon| Whether the Numbers 3’s and 1’s repeatedly appears in dreams, visions, waking life or synchronicities, it is a sign and message that you are to rely mostly on yourself. Whenever we need or seek others to do everything for us or to help us out of even the smallest situations, we give our power away. It is okay to get help of a healer, a shaman, a life coach, intuitive, but to hold everyone around us accountable or responsible for every little detail of our lives is really selfish. People aren’t meant to fulfill our every need or desire, whether that is partner, mom, dad, son/daughter, sister/brother, or other beloved family or friend. If so, we’d then begin to idolize that particular person, rather than turning to the most high or within for help from time to time. Be independent. It is nothing personal because others say no from time to time in order to honor themselves and their space. You should respect the space of others and others will respect you. You alone are responsible for taking care of your own mind, body and spirit. As it is you who ‘lives’ with yourself 24-7. And if you have to constantly stay busy to get away from spending time alone, there lies a bigger problem. Repeating Prophetic Numbers 3 & 1 can appear in the form of the numbers 31, 311, 313, 3113, 3331 etc. The more the significance the stronger the message. The Following Channel is from higher powers, Divine, the ancestral plane and is prophetic through Quornesha S. Lemon| Whether the Prophetic Number 31 appears in dreams, visions, waking life or synchronicities, it is a sign and message that you’ve reached a turning point in your life. You’re more balanced and focused on being better in your own life and not that of others. You’re a trailblazer, example setter, and you aim for what you truly are. Rather than conforming to what it is others wish for you to be, you become your best self. As you know, that is key to living your best life. You don’t have the time to live someone else’ best life and yours too. Choose wisely. The Prophetic Number 31 sums up to the number 4. However, it does not diminish the vibration of 3 or 1. It is a then a message that you are listening to your own higher power, and starting anew. You’re discovering yourself and your reason for being here. An opportunity or opportunities will present themselves to you at the perfect time in the most perfect of ways. Remember to respect others. What we give, we also receive. And not always from the same source. Be grateful and stay grounded as to how far you have come. The Following Channel is from higher powers, Divine, the ancestral plane and is prophetic through Quornesha S. Lemon| Whether the numbers 3 & 0 repeatedly appears in dreams, visions, waking life or synchronicities, it is a sign and message that it is a message that higher powers are trying to get your attention. Pay attention to repetitive synchronicities. Use your wisdom and intuitive methods. It will serve as a compass when things seem confusing. Remember it’s impossible for others to help us if we are unwilling to help ourselves. The Numbers 3 and 0 is a message that it is time for you to connect with Divine. Know that there is a time and season for all things. A time of learning externally, and a time for going within. A time of healing and a time of moving on. Do not choose to remain stagnant in repetitive patterns. choose to move ahead and focus on your blessings. Pay homage to ancestors, angels, ascended guides and spirits. Honor them in your walk. And live ethically. Whatsoever you sow, you will reap. The Following Channel is from higher powers, Divine, the ancestral plane and is prophetic through Quornesha S. Lemon| Whether the Prophetic Number 30 appears in dreams, visions, waking life or synchronicities, it is a sign and message that now is a the time to stay vigilant. Continue dismissing anyone or anything that does not serve you (bring more good into your life than harm). As some people will tolerate anything because their standards are so low. They believe others will accept it too. Keep your eyes open. Your instincts are right on the money. The prophetic Number 30 says you’re a truth seeker and you don’t give in until it is discovered/revealed. Don’t be afraid to step outside of the dogmas and fears others may have taught you. Ask Spirit for the purpose of all things. Be careful what you wish for. And connect with Divine always. Stick with your convictions and know that you are loved by a team of higher powers and they’re getting ready to show you how much. Don’t forget to do the work! Blessed be! Honor and respect all beings. You are being watched by higher powers. Even if you weren’t, act with integrity. The Following Channel is from higher powers, Divine, the ancestral plane and is prophetic through Quornesha S. Lemon| Whether the prophetic Numbers 2’ and 9’ repeatedly appears in dreams, visions, waking life or synchronicities, it is a sign and message that you will or shall be getting on with your life. It’s okay to be receptive to others + also not be a part of what they are doing. Especially if it does not serve you. Whatever that is. It is time to balance your life + know that it’s a pertinent time of learning + you have to release the wheel + allow others to be on their journey. Release and surrender control. Let others learn their life lessons. Even if that results in their failures, their fall backs or setbacks. Get out of God’s way! He does a work in all he chooses. The repeating 2’s and 9’s is a sign of endings, conclusions, balance, and bringing things into existence. Be prepared for sudden and rapid changes. The message permeates the more it is seen; 29, 292, 2299, 2999, etc. The Following Channel is from higher powers, Divine, the ancestral plane and is prophetic through Quornesha S. Lemon| Whether the Prophetic Number 29 appears in dreams, visions, waking life or synchronicities, it is a sign and message that You’re coming out of some adversities right now. Give all toxic people over to God/Goddess, as they (toxic people) are the ones who have to work out their own demons & burdens with the most high. Not you for them. Even as healers the other person must want it and be willing to do their own work. You are not to stand in the storm on behalf of another person. Let them experience life lessons. As the number 29 repeats itself to you, you will realize that others are truly responsible for their own well being. Even if a toxic person is a family member, loved one or friend. You still cannot live their lessons for them. It’s okay for you to see the truth about their patterns, but they must see them as well, in order for successful change. Some people love being out of order in their lives. But it is not your place to fix them. The Following Channel is from higher powers, Divine, the ancestral plane and is prophetic through Quornesha S. Lemon| Whether The Prophetic Number 28 appears in dreams, visions, waking life or synchronicities, it is a sign and message that as doors close, others are opening. You are being asked to surrender and allow everything to run it’s course. You’re being asked to step aside and stop trying to directly intervene in a situation. It may be time to do more spiritually and secretly than directly. It is okay to need the help of others as that is the way to keep the abundance train rolling. Respect the time and energy of others and how they value it. If it’s something you cannot afford, it’s best that this situation be allowed to resolve on it’s own and with the help of spirit. Know that whenever you need help, you will have the abundance to be able to receive it. Don’t hold others to our own standards. The Number 28 is equivalent of the number 10 and the number 10 is equivalent of the number 1. It is time to start fresh and renewed. You will be guided as the next steps to take. Be firm about all changes taking place. What you cannot change surrender, what you can, put in the work! The Following Channel is from higher powers, Divine, the ancestral plane and is prophetic through Quornesha S. Lemon| Whether the Prophetic Numbers 2’ and 7’ repeatedly appears in dreams, visions, waking life or synchronicities, it is a sign and message that some changes are taking place right now associated with your inner and physical space. As well as some endings and conclusions. You have to be willing to release and receive. Some doors close, some doors open at this time. Repeating 2’s and 7’s is a reminder to get things in order. Do not force any doors to remain open, and don’t force any to close. Let it be, let it flow. And allow. Karma is associated with this repeating pattern. Surrender all concerns and worries to heaven, knowing that any wrong doings are being taken care of. Get healing, cleansed and stay prayed up! The Following Channel is from higher powers, Divine, the ancestral plane and is prophetic through Quornesha S. Lemon| Whether the Prophetic Number 27 appears in dreams, visions, waking life or synchronicities, it is a sign and message that even though you are a powerful person. No matter how much you stay prayed up. You still have to be on guard. Even the most anointed, appointed and enlightened person(s) are tried and tested at times. The demons and alleged elite of this world are always busy. The Number 27 is a reminder that you cannot cover evil with positive energy. As whatever is within a person, will come out of them. One way or another. Not to say that all people are bad, but even the most powerful prophets, psychics, seers, shamans, healers, have the keys of discernment. It is not your duty to help everybody. As long is you’ve helped someone, you’ve actually done enough. Commit to letting go of energy draining people, thoughts and ideas and be aware that your fears teach you something every time. Don’t always discount them as a negative thing. The Number 27 is equivalent of the number 9. Whatever ends at this time, is a necessary ‘death’. And death is only the start of new life, somewhere, some way, somehow. 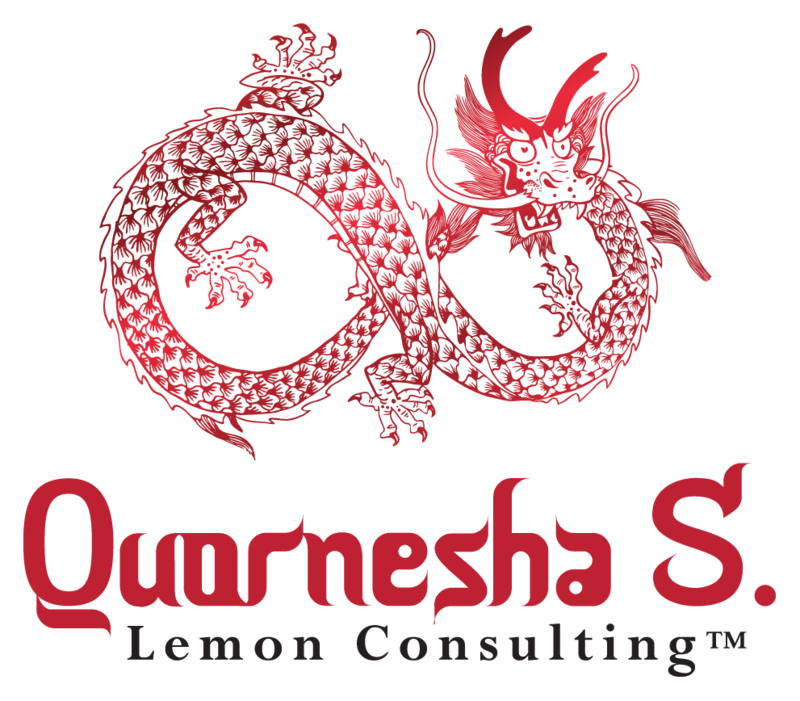 The Following Channel is from higher powers, Divine, the ancestral plane and is prophetic through Quornesha S. Lemon| Whether the numbers 2 & 5 repeatedly appears in dreams, visions, waking life or synchronicities, it is a sign and message that you need to honor your own self. It serves as a reminder that you need to honor your own beauty, intelligence, power, or gift(s). Look in the mirror, whatever you see, positively about others, you can see within yourself. Don’t elevate others above your own process. You don’t have to feel elevated above anyone else. Just love and accept yourself entirely. Make the necessary changes. It is okay to walk away from whatever it is, that doesn’t serve you. Serving you, doesn’t mean you’re above anyone…it means that it benefits your well being rather than taking away all of the time. 2’s and 5’s can appear in the frequency of 252, 225, 2255, 2525, etc. The more it appears, the higher the frequency. The Following Channel is from higher powers, Divine, the ancestral plane and is prophetic through Quornesha S. Lemon| Whether the Prophetic Number 25 appears in dreams, visions, waking life or synchronicities, it is a sign and message that change is coming. Choose to be prepared and receptive to the blessings life has to offer for you. Be willing to shift with your elevation. Rather than clinging to old ways, be willing to accept the new. It is okay for things to go well. Relax and know that all of the blessings life has to offer, you do deserve them. When you need to change a thing or two about your own character be willing to seek the help. No one is perfect and it important that you know that it is safe and okay to accept your own indifferences. Learn to love and truly compliment your own well being. Experience joy in all of it’s glory. If you do not resonate with the prophecy, it’s time for you to change things in your life. Respectfully, seek answers, healing, coaching or solutions, it is okay to do so. The Following Channel is from higher powers, Divine, the ancestral plane and is prophetic through Quornesha S. Lemon| Whether the Prophetic Numbers 2 + 4 repeatedly appears in dreams, visions, waking life or synchronicities, it is a sign and message that some changes are being requested of you as to how you see yourself reaping the benefits of the universe. If there are blockages, now is a great time to get those cleared. If you’re feeling out of balance, right now is the perfect time to heal. Know and feel supported and you’ll begin to attract the support needed to advance along the way. Be willing to learn the harsh and beautiful lessons of life and accept them, and move on. 2’s + 4’s can also appear in the form of 224, 242, 2244, etc. The stronger the message the more frequently it appears. The Following Channel is from higher powers, Divine, the ancestral plane and is prophetic through Quornesha S. Lemon| Whether the Prophetic Number 24 appears in dreams, visions, waking life or synchronicities, it is a sign and message that you’re going through some transitions, whether through home move, transportation, or career move. It is a message of supernatural supply and abundance. How you handle the forthcoming news is up to you. The universe is signaling you to learn the art of balancing what you receive and what flows outward. It is okay to support and nourish others, but if those people don’t support and nourish you, what good is it? Not that you’re seeking a reward to be yielded of ‘good’ intentions. but All things in life serve a purpose and you cannot give to others what you don’t have for yourself. You can’t empower the beauty of someone else, if you yourself don’t feel beautiful. The Prophetic Number 24 is a reminder to seek, speak, think, walk and talk the truth always. The stories we tell always come back around some way or some how. Don’t expect something if you’re not planting the right seeds. In order to reap, you must sow. The Following Channel is from higher powers, Divine, the ancestral plane and is prophetic through Quornesha S. Lemon| Whether the numbers 2’ and 3’ repeatedly appears in dreams, visions, waking life or synchronicities, it is a sign and message that you’re making changes right now. And you’re being encouraged to take advantage of this time in order to benefit in the not so distant future for well sown seeds. You’re being encouraged at this time and you should take note of the synchronicities taking place. You’re responsible for your own discernment. The Number 23 speaks of spiritual changes, emotional and spiritual changes. And is a message of moving forward discreetly with plans. And to take caution with blindly trusting others. The Following Channel is from higher powers, Divine, the ancestral plane and is prophetic through Quornesha S. Lemon| Whether the Prophetic Number 18 appears in dreams, visions, waking life or synchronicities, it is a sign and message that abundance is entering your life, as well as endings that are necessary. You will begin again soon and with a fresh slate to start with. You'll see this number when you're being prompted to move, to purchase a new home, a better mode of transportation or otherwise. It is a number of transition as well. The Number 18 is associated with starting anew, as well as finishing strong. In order to move forward, it's time to end what is no longer serving your highest good. Divine requires this sacrifice from you. The Number 18 is a sign of the fruition of positive outcomes for yourself + household. Keep moving forward and stay in your own race. Also, see the number 9 + The repeating numbers 1's & 8's. This channel was written by Quornesha S. Lemon| It was received from the archangels, angels, ascended masters, Spirit guides, spirit animals and so much more. Your angels want you to know that whenever the number 3 repeats to you, it is a message that they are beside you. Walking with you. They see the divinity in you. If this is not you, then it is a message that is urging you to get to the place of the God in you. So that others can see it too and resonate with that inner wisdom or being. The repeating number 3 is an indication that the angels are working alongside you to bring positive solutions to you. It is up to you whether you accept their help or not. Repeating angel number 3 can appear as 3, 33, 333, 3333 or 33333, the more the stronger the message. My Ancestors do not appreciate infringement, so, in order to avoid negative or harsh karmic ties, please refrain from stealing and grant credit where it is due. And you are only allowed to share when you are willing to credit this source, and keep all links in-tact. This channel was written by Quornesha S. Lemon| It was received from the archangels, angels, ascended masters, Spirit guides, spirit animals and so much more. Angel Number 3 Is a message and is symbolic of communication, channeling, insight, archangels, angels, ancestors, occult wisdom and more.The message is: Take caution with how you converse with others. You are not in control of how others serve their mission. Whatever YOU are doing should make you happy enough that you don't need others to do it with you. The Number 3 is about self-love and doing things in harmony. Spirit Message: True leaders aren't trying to persuade others to follow them, they naturally have others drawn to them. If you feel like you need others to follow you, it is a sign of personal displeasure and you are welcome to change that at any time. You are all here to uplift one another and judging another person for who they are or how they are, means you are not at peace within your own mind. The number 3 reminds you to be open-minded to other options or aspects. Approve of yourself, and others will do the same. This channel Channeled by Quornesha S. Lemon| The following channel is from the archangels, angels, ascended masters, Spirit guides, spirit animals and so much more. Angel-Confirmation Number 2 is a message that your life appears out of balance and it needs clearing. When the number 2 repeats itself in the sequence of 22, 222, or 2222 it is a sign that you will need to reconnect with the universe and gain calm and balance once again. These can appear in many different ways or capacities but the meaning still vibrates the same. It is time to clear your vibes. As there may be some unknown attachments 'hooked' or attaching themselves to you.